On December 13, 2018, Blizzard has made an announcement through their official news blog that they are cutting down or reducing the support for their Multiplayer Battle Arena Online game, Heroes of the Storm, in order to focus development into other products and services. While they stated that they will still continue support for Heroes, Blizzard has also announced the sudden cancellation of all HOTS esports events including the Heroes Global Championship or HGC as well as Heroes of the Dorm in year 2019, which has caused a massive uproar in the Heroes of the Storm community from professional players and HOTS esports dedicated content creators alike. This gives the impression that Heroes of the Storm will no longer be a priority to Blizzard going forward in 2019, and some people have declared that this may be a slow and uncertain death of the game for the following days to come. 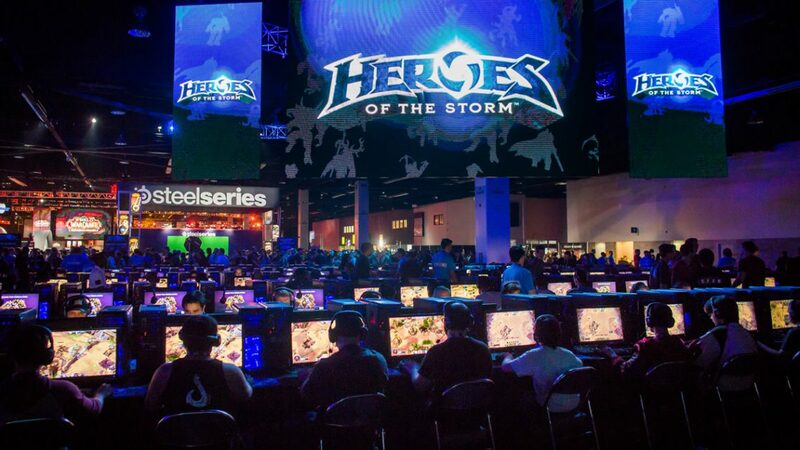 Blizzard’s sudden cancellation of HOTS esports events has drawn feelings of anger, sorrow, and devastation to many of dedicated pro players, content creators, and aspiring pro players alike, with many expressing their frustrations to social media. “If there’s no new people coming to the game, if there’s no new people for me to educate, then my content becomes pretty redundant, and that’s super worrisome,” – MFPallytime says in his video. 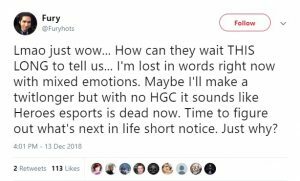 These tweets from these HOTS personalities are some examples of their reactions regarding the cancellation of all Heroes esports events for 2019. When a company decides to cancel a game’s esports scene, one must know the ramifications of such actions. Not only does it remove an alternative esports scene that aspiring players may want to participate on, remove a way for Heroes of the Storm to attract a new playerbase, remove an alternative source of entertainment for the esports audience, it also means the loss of livelihoods of those players, managers, and support staff who were already in the professional scene from the beginning. What adds more impact was how sudden this cancellation of the Heroes esports scene was. 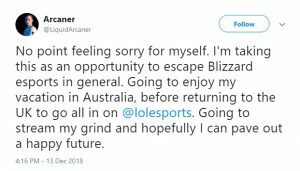 Many professional players, managers, content creators, shoutcasters, and even casual fans of Heroes themselves were shocked with how unexpected was the cancellation the entire Heroes’ esports scene. Many were assured by Blizzard that there will be more developments with the competitive scene especially with the establishment of The Crucible, a “proving grounds” tournament meant to establish more teams to enter the Heroes Global Championship and further develop the competitive scene, and given the cancellation of all Heroes of the Storm esports events in 2019, this undermines the time, effort, and resources used to make The Crucible and other developments of the HOTS scene in general, making all those efforts wasted in the end. 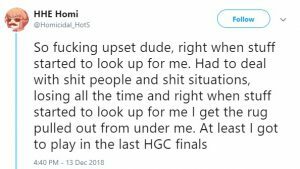 What makes this issue even more devastating to all the people involved in HOTS competitive scene is that they are all left without a form of livelihood with just a few more days before Christmas and a few more weeks heading into the new year. 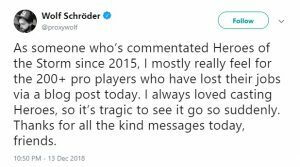 These veteran pro players, aspiring pro players, shoutcasters, and even content creators are heading into the holidays with their loved ones with no jobs. 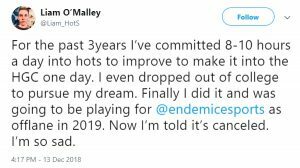 Some former HOTS professional players have considered moving to either League of Legends or DOTA2 as a means of supporting themselves while others have considered quitting the esports scene entirely in order to look for other job opportunities. Given these circumstances, many of these players and personalities are facing the holiday season with feelings of devastation and uncertainty in their lives. The matters left in this situation are Blizzard responses to this entire issue. Why was their cancellation of the entire HOTS esports scene so unexpected? Why was no warning given to any of the personalities and players involved in the competitive scene about it? If support for Heroes of the Storm and its ssports scene was meant to be phased out in order to delegate more resources and manpower to develop other Blizzard projects and games, why was it not announced earlier to the general public? Some personalities have even suspected that Activision, Blizzard’s company partner, had an influence to make these decisions, such as pressuring Blizzard to release games at a quicker pace as well as tapping in at the mobile gaming market. Blizzard has already suffered a huge setback from the gaming community’s negative reactions and criticisms towards Diablo: Immortal, and now its suffering another setback with the unexpected cancellation of an entire esports scene. As of the writing of this article, Blizzard has yet to respond to all of the criticisms and reactions of the HOTS community.